Got two shows coming up this week: The first is Greg Laswell at Cafe du Nord on Wednesday November 5th. The second is the Dodos at Bimbo's 365 club on Thursday November 6th. Since blogging last time about Greg Laswell, two of his tunes have been played on NBC's Grey's Anatomy, totaling three times now this season. And as we have seen in the last decade or so, the importance of television exposure has overtaken radio, and Grey's Anatomy, love it, hate it or indifferent to it, has been known to boost obscure bands into greater popularity. So congrats Greg and I'm looking forward to hearing you (and your full band this time) at Cafe du Nord Wednesday night, November 5th. He'll also be on a small American tour, check out the locations on his myspace page. On Thursday, I'm going to see the Dodos, a San Francisco band that has received international success. 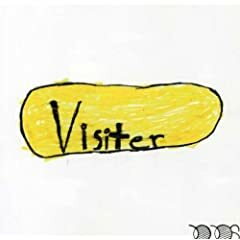 I saw them at the Independent a couple months ago after being drawn to their strange child drawn album cover Visitor (by a special ed student who the Dodos played for in South Central, Los Angeles) and silly band name (formerly Dodobird). I know, silly reasons to be drawn to a band, but something has to make me want to listen to them. But what made me want to buy the album and to see them live again as soon as possible was their unique sound. While there are lots of bands these days that consist of the simple combo of guitar and percussion, it is the combo of the African inspired percussion of Meric Long and the country blues influenced acoustic guitar work of Logan Kroeber. But I think it's really the percussion that I dig the most, their myspace bio states that the drumming plays a central role and helps bring out the syncopated rhythms of the acoustic guitar. It is really special how these two instruments work together. When I saw the Dodos last time, they had a third member playing auxiliary instruments such as the xylophone and a metal trash can. It was awesome. I want to play a trash can! Check out this live performance of "The Season"
The Dodos are on an international tour! They'll be playing in the UK, the Europe (France and Denmark, wink wink), Australia and New Zealand in the next three months. Check out their tour schedule on their myspace page or their website.